I enjoy making meals which use a combination of fresh and preserved local food. Today I did that with a braised lamb shank recipe. The lamb was from our meat CSA scheme and has been in the freezer since it was delivered in the summer. 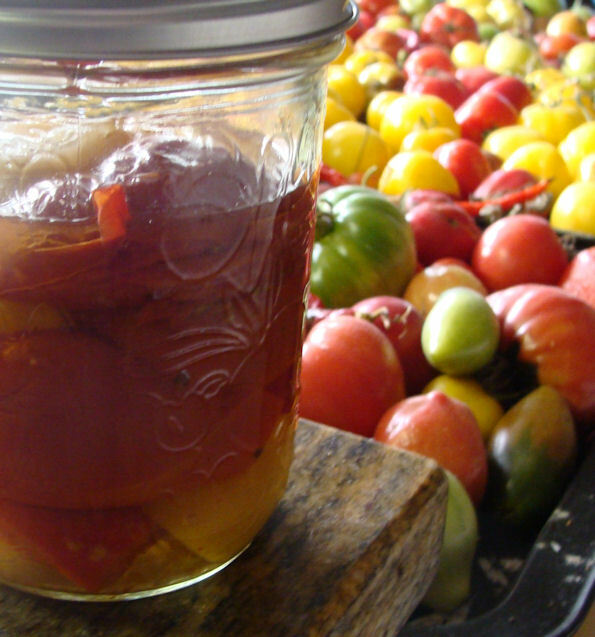 I've also used a jar of the tomatoes I preserved in August (even though we do still have some fresh ones). The remaining ingredients are more seasonal: garlic, onions, carrots, swede/rutabaga and rosemary. After browning the meat in an ovenproof dish, I cooked the chopped vegetables in butter for five minutes or so and then added the jar of tomatoes, some white wine and some stock. 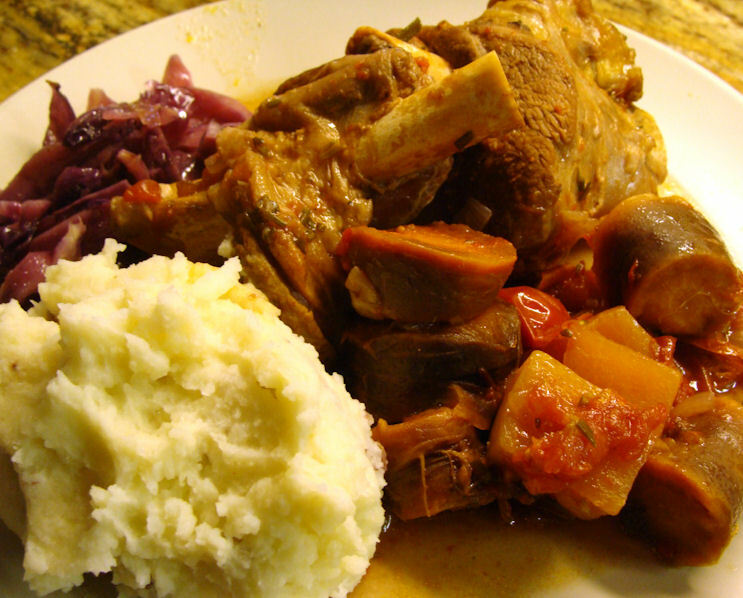 The lamb shanks were added back into the pan, which was covered, brought to the boil and then transferred to a 300°F/150°C oven for three hours. I served it with mashed potato and braised red cabbage. 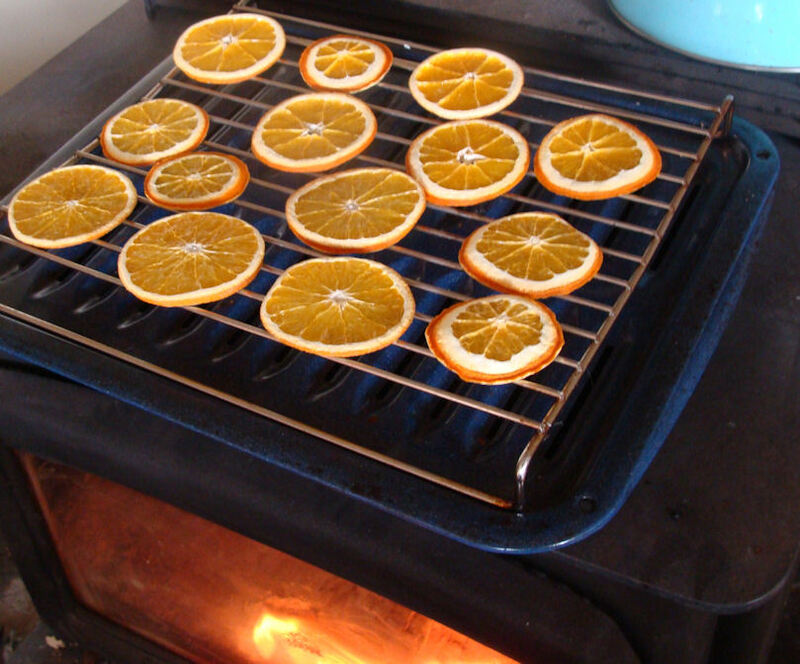 And if that wasn't enough to fill the house with lovely smells, I also used the woodstove to dry some orange slices for use as Christmas decorations. I tried this last year and managed to burn some of the slices slightly. This time I've mastered the technique - the rack on top of the roasting pan keeps the slices sufficiently far away from the heat of the stove to let them dry more gently. I love the way they look when they're finished: like small pieces of stained glass. A promise of summer. So you still have fresh tomatoes, do you? Lucky thing! How did you manage to keep them going so long - are they in a greenhouse? 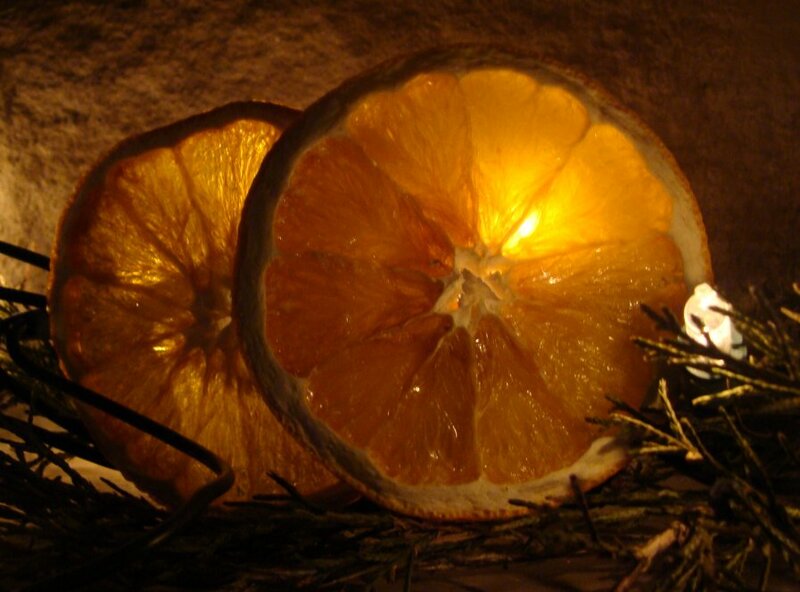 I saw your orange slices this morning and wanted to do some but didn't have any oranges. I tried apples and they worked nicely too. They look pretty with the star shape where the seeds are. And they taste good too!